This is our Cochabamba Bolivia travel forum. Read the history of Cochabamba. Feel free to ask questions, post travel stories, upload photos or videos, or share your experiences living, traveling, studying, volunteering, doing business, or touring here. You can start a discussion on any subject. Your message will post BELOW the form and will run through the BoliviaBella.com Blog. In the mood for Indian or Pakistani Food? When is the Carnaval cochabamba 2015: dates and program? Can anyone help me? I need the dates and the daily program if possible to the carnaval - Corso de Corsos - 2015 in Cochabamba. Many thanks. Question regarding engineering jobs in Cochabamba. Where are deaths registered in Cochabamba? From Santa Cruz via Samaipata and or Sucre to Cochabamba? Any ideas for a homestay in Cochabamba? Coming to Cocha for an 8 month job and looking for housing rentals (apt or house), safe and relatively inexpensive. Where should I look? Can you tell me about moving to Bolivia with a newborn? What are Some April 2013 Activities or Festivities in Cochabamba, Bolivia? 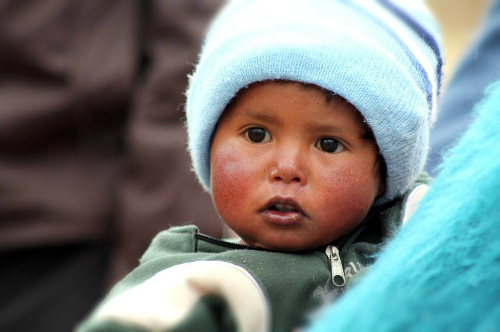 Private Health Insurance options for pregnant expat in Cochabamba? Can you recommend places to stay in Cochabamba, Bolivia? What is the cost of living in Cochabamba, Bolivia? Who wants to open a hostel in Cochabamba? Hi. Love your site. I was born in the USA and I would like to live in Cochabamba. Is that possible and if so what are the steps I should take? Can anyone tell me where to catch the bus from Cochabamba to Oruro and if it is safe for a woman travelling alone to take this bus? Thanks! Bilingual Residency Lawyer in Cochabamba? Turista necesita recomendaciones de atractivos turisticos en Bolivia. Looking for info on Matarani community Esteban Arce Cochabamba. I sponsor a child and family there,and just thinking I may want to visit. Train from Cochabamba to La Paz? We have three cats and a dog. What can we expect if we want to bring them to our home in Cochabamba? Greetings to Cochabamba - Suggestions for a traveler? Para mi gusto cochabamba es la ciudad mas bella, seguida de sta cruz, tarija, chuquisaca, etc. Machia Animal Refuge in Bolivia is being devastated for a coca road !! !